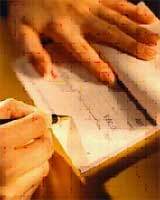 Negotiable instruments, such as bills of exchange, promissory notes or cheques are pieces of paper representing the ownership of debts and obligations and are used to settle the debt by an exchange or transfer of credit without the need for cash. Negotiable instruments may be inland or foreign. A bill of exchange is an inland bill because it is both drawn and payable within the British Isles or drawn within the British Isles on a person resident in the British Isles. When a negotiable instrument is dishonoured, it should be noted for non-acceptance or non payment (as the case may be). This is where the notary presents the dishonoured instrument to the defaulting party for acceptance or payment and recording on the instrument the reason for dishonour. 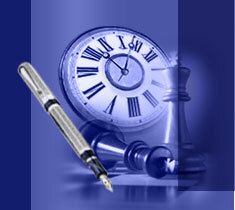 Noting must take place at a reasonable time of day on the date due date or the next succeeding business day. A foreign negotiable instrument as opposed to an inland negotiable instrument which is dishonoured, i.e. not accepted or paid by the due date, must be protested in order for action to be taken on it. However there is generally no need to protest an inland negotiable instrument. Please contact us for further information and in the case of the need for noting and protesting on or before the due date.